In this paper, we propose a mass conservative semi-Lagrangian finite difference scheme for multi-dimensional problems without dimensional splitting. The semi-Lagrangian scheme, based on tracing characteristics backward in time from grid points, does not necessarily conserve the total mass. To ensure mass conservation, we propose a conservative correction procedure based on a flux difference form. Such procedure guarantees local mass conservation, while introducing time step constraints for stability. We theoretically investigate such stability constraints from an ODE point of view by assuming exact evaluation of spatial differential operators and from the Fourier analysis for linear PDEs. The scheme is tested by classical two dimensional linear passive-transport problems, such as linear advection, rotation and swirling deformation. The scheme is applied to solve the nonlinear Vlasov–Poisson system and guiding center Vlasov model using high order tracing schemes. The effectiveness of the proposed conservative semi-Lagrangian scheme is demonstrated numerically by extensive numerical tests. T. Xiong: Research supported by NSF Grant of Fujian Province 2016J05022, NSFC Grant 11601455, NSAF Grant U1630247,the Fundamental Research Funds for the Central Universities No. 20720160009 and the Marie Skłodowska-Curie Individual Fellowships H2020-MSCA-IF-2014 of the European Commision, under the Project HNSKMAP 654175. G. Russo: The work has been partially supported by ITN-ETN Horizon 2020 Project ModCompShock, Modeling and Computation on Shocks and Interfaces, Project Reference 642768. J.-M. Qiu: Research supported by Air Force Office of Scientific Computing Grant FA9550-18-1-0257, NSF Grant NSF-DMS-1818924 and University of Delaware. 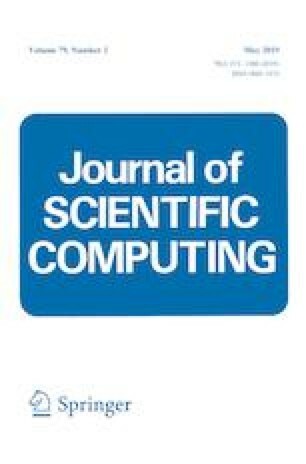 The final draft of this paper is completed, while the authors were in residence at the Institute for Computational and Experimental Research in Mathematics in Providence, RI, during the Collaboration@ICERM program, supported by the National Science Foundation under Grant No. DMS-1439786.